Inspired by the wildlife and nature found in the Pacific Northwest, Oregon-based artist Jason Pancoast of Shadowfox Design handcrafts intricate images out of laser-cut pieces of oak wood. 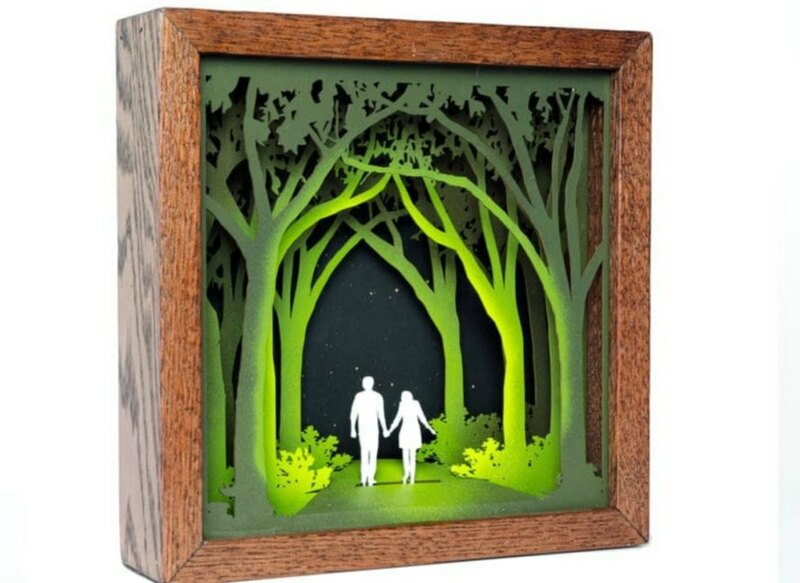 The whimsical shadowboxes are made by layering thin pieces of dark oak wood over the vibrant images, which are painted with acrylic paint. Nature and wildlife are the major inspirations for the artist, who tries to show how we are all connected to nature through his wood art. One of Pancoast’s most beautiful pieces is titled The Call. The background is made out of multiple layers of blues, greys and whites that, when glued together, create an image of a moon-lit forest landscape with a wolf walking among the trees. 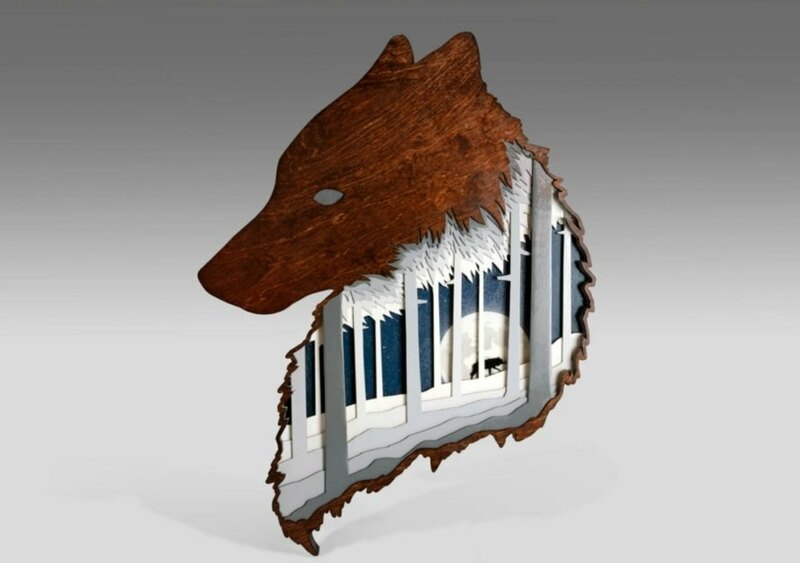 The image is framed by multiple layers of dark oak wood, forming a larger wolf. Other pieces include a soothing image of a Birch Forest and and a dynamic forest scene called Unto the Path. 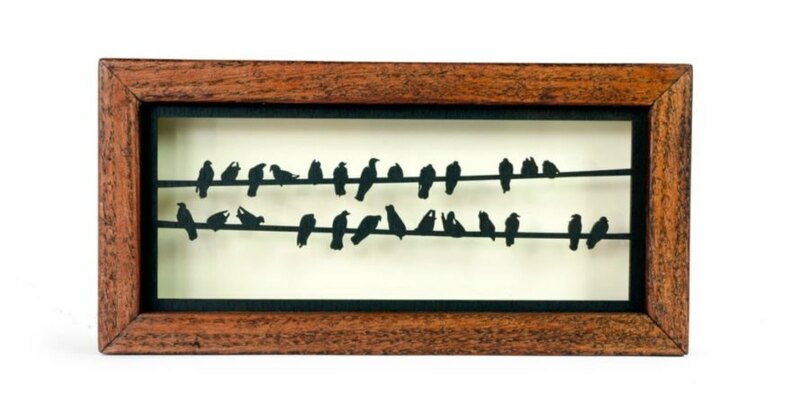 Pancoast not only creates his shadowboxes out of the carefully cut wooden layers, but he also works with paper art as well. First sketching nature-inspired scenes on matte paper in pencil, he then digitally adjust each sheet. He then creates beautiful scenes by layering the sheets, which are then carefully arranged into oak frames. One of Pancoast's most beautiful pieces is titled The Call. Nature and wildlife are the major inspirations for the artist, who tries to show how we are all connected to nature through his wood art. Other pieces include a soothing image of a Birch Forest and and a dynamic forest scene called Unto the Path. 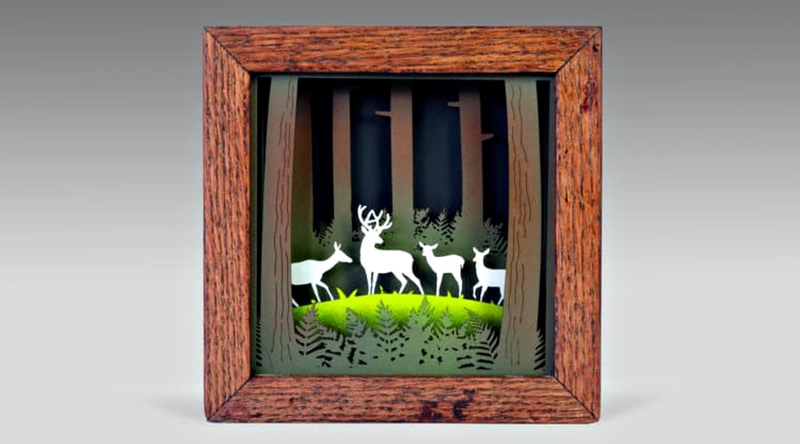 Pancoast not only creates his shadowboxes out of the carefully cut wooden layers, but he also works with paper art as well. First sketching nature-inspired scenes on matte paper in pencil, he then digitally adjust each sheet. The artist creates beautiful scenes by layering the sheets, which are then carefully arranged into oak frames. The shadowbox art is very intricate. 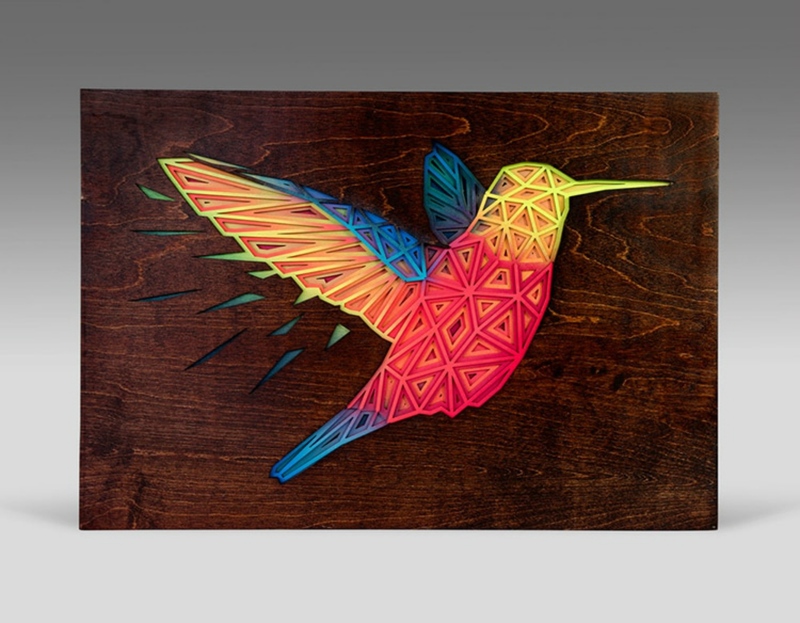 The artist creates art out of thin sheets of wood. 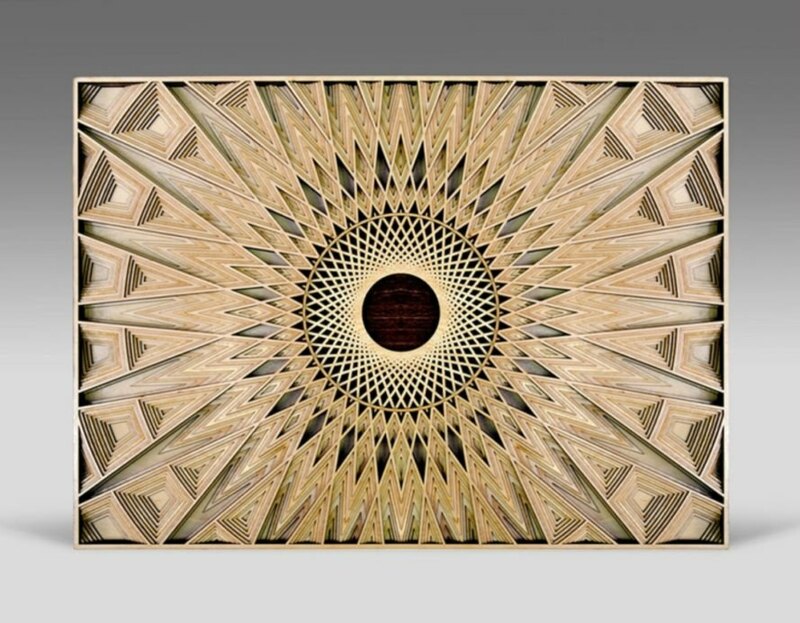 The intricate patterns are made out of laser cut wood pieces.